The entire living and dining space features tough polished concrete floors. 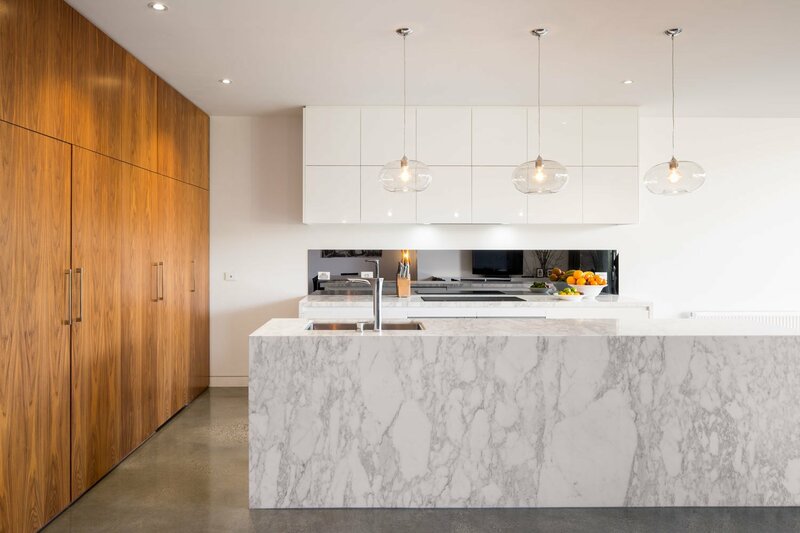 The architects intentionally contrasted the darker concrete and veneered pantry against the neutral white walls and marble. This color play runs through the renovated areas.